Rosewood is the world’s most illegally trafficked product, according to the United Nations Office of Drugs and Crime, accounting for a third of all seizures by value, more than elephant ivory, rhino horn, pangolins, lions, and tigers put togethe. 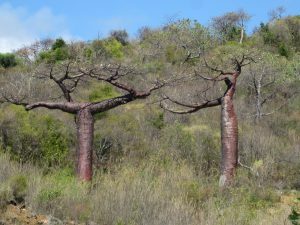 Madagascar is home to multiple endemic species of Malagasy rosewood. The supply chain for illegally logged rosewood is not unlike that used for other illegal natural resources such as wildlife in that there are discrete suppliers, stockpiles, transport nodes, and consolidators. Intelligence mapping (IM), among other outcomes, enables risk assessment across a geospatial threat landscape and identifies entry points for research, intervention, planning, or evaluation. IM is currently used to provide strategic, tactical, and operational advantages to policy makers, war fighters, intelligence professionals, and first responders. This research stream profiles efforts to conduct interdisciplinary IM to reduce illegal logging risks in Madagascar. The problem set, illegal logging, draws on landscape and forest ecology, so, in this regard, IM also contributes to the natural resources foundation of conservation criminology. Interdisciplinary intelligence mapping to reduce illegal logging in Madagascar’s eastern rain forests. Gore, M. L., Killion, A., and G. Roloff. (2018). Moreto, W. (Ed.). Temple University Press. Preventing illegal logging: simultaneous optimization of resource teams and tactics for security. McCarthy, S., Tambe, M., Kiekintveld, C., Gore, M L., and A. Killion. (2016). Association for the Advancement of Artificial Intelligence Annual Conference on Artificial Intelligence. Gore, M. L., Lute, M. L., Ratsimbazafy, J. H., and A. Rajaonson. (2016). PLoSONE. DOI: 10.1371/journal.pone.0150337. Using visual scales in researching global human dimensions of wildlife. Gore, M.L., and J. S. Kahler. (2015). Human Dimensions of Wildlife, 20(2). Gore, M. L., Ratsimbazafy, J., and M. L. Lute. (2013). Conservation Letters DOI: 10.1111/conl.12032. Ratsimbazafy, J., Gore, M. L, and L.J. 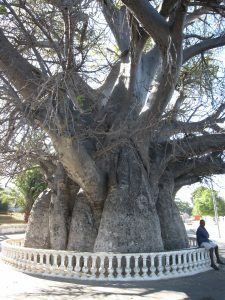 Rakotoniaina. (2013). In Nalla, M. K. and Newman, G. R. eds. Community Policing in Indigenous Communities. CRC Press, Boca Raton, Florida. pp. 31-39.